Some students find that concentration in one of the majors offered at Harvey Mudd does not meet their educational goals. As an alternative, any student may devise an individual program of studies (IPS) designed to serve her or his academic interests. An IPS program is initiated by the student; it must be consistent with the nature and strengths of the College, but it may cross departmental and even college lines. The program must be constructed predominantly from the STEM disciplines and be consistent with the purposes of Harvey Mudd College. It must differ from the other majors in a significant way and must have the approval of at least two faculty advisors, one from the Department of Humanities, Social Sciences, and the Arts and one from one of the technical departments as well as from the Associate Dean for Academic Affairs and the Registrar. The program should contain at least fourteen courses (forty-two credits) that make up a coherent set. Flexibility to choose among a large number of courses should not be at the expense of depth of concentration. Thus, at least two of the courses of this requirement should be taken in each of the last four semesters, and at least three of the courses should constitute a sequence. At least seven of the courses submitted under requirement (2) above must be taken at Harvey Mudd College. A student may not enter IPS after the sixth semester without prior approval by the Scholarly Standing Committee. Many individual programs of study are interdisciplinary in nature. For example, a program may center on a field combining two of the traditional majors or on a field in science or engineering that is only partially covered by one of the majors. Alternatively, a program may seek to relate mathematics, physical science, or engineering to an area of the social sciences or humanities. As illustrations of these possibilities, students have designed programs in architecture, environmental studies, geology and politics, and technology. Students may also choose to complete an off-campus major at one of the other Claremont Colleges in order to satisfy the “major” component of the curriculum. If this is the student’s only major, then the student must also complete a minor in one of the Harvey Mudd College major-granting departments, along with all other graduation requirements, including the Common Core and the program in Humanities, Social Sciences, and the Arts. See “Minors” below. If the student is seeking to add an off-campus major as a second major, in addition to a regular Harvey Mudd major, then no minor is required. An off-campus major (OCM) is overseen by the Associate Dean for Academic Affairs. A student contemplating an OCM in lieu of a regular Harvey Mudd major should consult with the Associate Dean for Academic Affairs about the application process. Since the requirements of the other college may be less than the Harvey Mudd requirements for an OCM (ten full courses or thirty credits), it is important that the student begin this consultation early. All students taking off-campus majors as the sole major will be required to write a senior thesis or engage in some approved capstone experience (e.g., research, Clinic, internship). If the student is seeking to add an off-campus major as a second major, in addition to a regular Harvey Mudd major, then the capstone requirement is optional or at the discretion of the off-campus department offering the major. In cases where courses in the off-campus major overlap with either or both of the Harvey Mudd humanities, social sciences, and the arts concentration or the Harvey Mudd minor, up to four overlapping courses may be allowed to satisfy more than one of these departmental graduation requirements.  Students are not allowed to seek off-campus majors that are offered as on-campus Harvey Mudd majors. A minor is available only to students electing an off-campus major (OCM) in lieu of a regular Harvey Mudd major. The minors described below are available only to Harvey Mudd students electing an off-campus major in lieu of a regular Harvey Mudd major. They are not open to participation from students at the other Claremont Colleges. Students interested in pre-college teaching should contact the Teacher Education Program at CGU to arrange for courses that will meet the requirements for a teaching credential in California. Environmental analysis (EA) fits exceptionally well within the Harvey Mudd College mission to train students who combine technical rigor and engagement with pressing social issues. The Emphasis in Environmental Analysis provides a curricular program to help students move through their environmental studies in a coherent and cumulative fashion. The Emphasis in Environmental Analysis is not a major or a minor. Rather, it is a coordinated program of study that allows students majoring in the sciences, engineering, and mathematics the opportunity to address environmental issues from a range of perspectives so that they may better understand the impact of their work. Emphasis Structure: An Emphasis in Environmental Analysis consists of six courses beyond the Core with significant environmental analysis content taken on- or off-campus, including at least three courses in recognized humanities, social sciences, and the arts disciplines and two courses in science, engineering, and mathematics. At least three of the courses must be at the upper-division level. Upon approval by the Harvey Mudd Center for Environmental Studies, one summer research, yearlong research, or yearlong Clinic experience with a substantial environmental analysis component may be counted towards the six-course total. Requirement: Students must declare their intention to pursue an Emphasis in Environmental Analysis in or before their fifth semester. The Harvey Mudd Clinic is an internationally recognized program initiated at Harvey Mudd in 1963. It brings student teams together with industry, government, and nonprofit organizations to solve real-world industry problems in an academic setting. Built upon this foundation, the Global Clinic Program supports long-term sponsored engineering and science projects in which teams of Harvey Mudd students collaborate with teams of students from partnering schools all over the world. Students work on international team projects with members from different countries, cultures, and institutional backgrounds, with different disciplinary interests and languages, but with a common unifying purpose and overarching project goals. Global Clinic students make a series of presentations and written progress reports during the year, honing their technical writing and public speaking skills. Further details can be found online at www.hmc.edu/global-clinic. Harvey Mudd College is currently participating in four dual degree programs with other members of The Claremont Colleges. Additional information for each program is linked to below.